From delicious Mexican food in an old abode mission to mountainside spas and Wild West history, McKenna Uhde discovers the best bits that Phoenix, Arizona has to offer. Many people’s first thoughts on Phoenix are that it is a blisteringly hot, golf-obsessed desert wasteland – and 10 years ago they wouldn’t have been entirely wrong. But as a young city, and one of the fastest growing in the United States, it’s brought in some of the most unique urban and gastronomic experiences that fit perfectly alongside some of the country’s most stunning natural surroundings. Don’t be taken aback by the intensity of the desert, you’ll be pleasantly surprised at the beauty it can hold if you know where to look. We’ve created a city guide for the best places to eat, drink, play and stay in the Phoenix area, plus where you can soak up incredible views and try the best of modern and hometown cuisine. Whether your stay is short or long, make the most of your trip to the Southwest. There should be no double about visiting downtown Phoenix and Scottsdale during your stay, both of which are the hubs of drinks and dining. But, don’t forget to get out and about to explore nature unique to this Southwest state. The best way to experience this is with a hike up locals’ favourite Camelback Mountain. Force yourself up for an early morning hike and catch the sunrise over endless views of the valley. Follow the Cholla Trailhead for a stroll or Echo Canyon Trailhead for a challenge. With perfect year-round weather (minus a few summer weeks), Arizona is golf-obsessed, with some of the best courses in the world nestled among the mountainsides. Play the well-known TPC course that hosts the famous (and most rowdy) leg of the PGA tour, Waste Management Open. Or go all out with a 36-hole package at We-Ko-Pa where picturesque views make for a stunning day out. And if you’re not so golf-inclined, you can still take on Arizona’s favourite game from a comfortable lounge-style driving range at Top Golf, where fun is the game and points don’t matter. Enjoy a round or two of beers and relax with your co-workers at this bar-style sporting atmosphere. Get a taste of the Wild West in Old Town Scottsdale where streets are lined with Native American art galleries, turquoise jewellery and souvenir shops perfect for stocking up on cowboy hats and rubber band guns. Stroll the Main Street Arts District for western-style shops and the historic Sugar Bowl Ice Cream Parlor. It’s the perfect way to get in touch with Arizona history and enjoy an evening stroll before heading up the road for designer shopping and modern cuisine. Arizona is full of natural wonders, and many aren’t so far from the city. Less than two hours north of downtown Phoenix are stunning red and gold mountains forming the hiker’s paradise known as Sedona. Head up Munds Wagon Trail for a 360-degree view where some swear they can see California, or Devil’s Bridge for those who want to mix a bit of rock climbing into their stroll. If you’re not up for the journey, not to worry – the orange sand would dirty your shoes anyway. 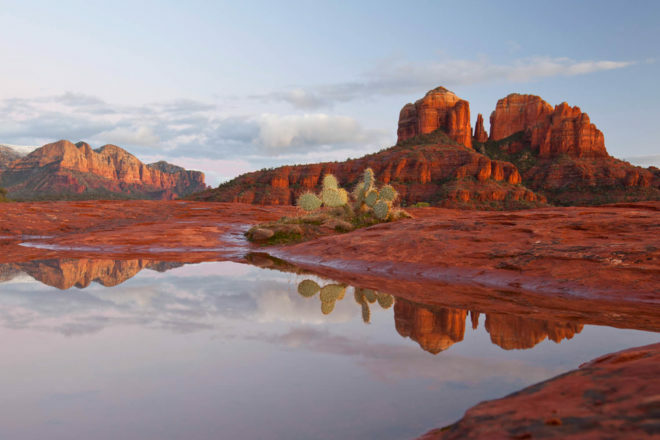 Instead, hit up Sedona’s town centre for a Pink Jeep tour where real pink Jeeps take you up the mountain to spot javelinas and rattlesnakes – no hiking required. Built into a Scottsdale mountainside, Spa at the Boulders is a true oasis in the desert. Enjoy one of its many signature spa experiences that not only relax the body, but the mind too. Try an eco-conscious facial, a Shaman healing massage or the popular Desert Sage Detox, which use 5000-year-old Ayurvedic healing rituals and locally sourced clay. Don’t worry, they have the usual mani and pedi too. You can then enjoy the beautiful and secluded pool and spa overlooking the valley for some much needed time away during your travels. You can’t go to Phoenix without trying the city’s iconic Mexican food, so why not try it in style? The Mission Old Town takes Latin cuisine to a new level. Set inside an old adobe mission in Old Town Scottsdale, visitors can choose between a variety of atmospheres including cosy outdoor seating fireside, intimate indoor areas and a lively community table and lounge. And the food isn’t bad either. 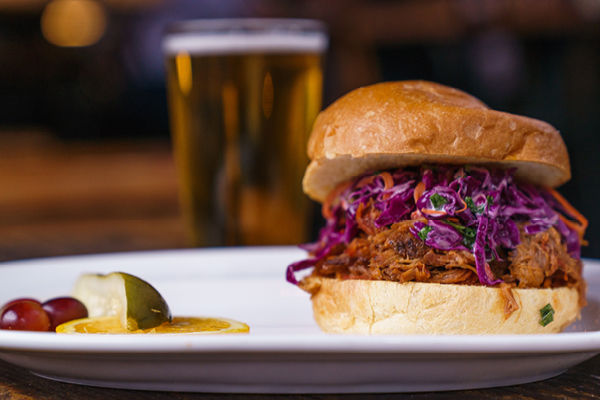 You’ll find Latin favourites on the menu from tacos to tapas, all with a modern twist. Don’t leave without trying its signature drink, Bitter Bees. If you want to know where the locals go – it’s Frank and Lupe’s. This small, casual joint pays homage to classic Mexican-American dishes and is guaranteed not to disappoint. Just be ready for bottomless margaritas and big portion sizes. Enjoy the festive open-air patio and don’t forget to top off the night with handmade sopapillas – sweet, fried bread covered in powdered sugar and gooey honey. It’s as close to a home-cooked meal as you can get. Try something new at this stylish Mexican-Asian eatery. The atmosphere is enough to provide a good time, with vibrant art and lights in a modern open-air setting, often topped off with a DJ. The food is just as vibrant and offers funky and fresh tacos, sushi and other culture-blending dishes. Get a signature cocktail and some crab guacamole and soak up the place’s youthful energy. For your health fix, head over to this chic bar and eatery serving seasonal ingredients from the produce market next door. This is a great place to enjoy brunch and even get a bit of work done while a light breeze flows through the open-air patio. Enjoy an artisan cheese plate or craft beer and relax in knowing exactly where your food is coming from. Olive & Ivy is a Scottsdale staple featuring a modern and chic atmosphere and food dishes to match. The Olive & Ivy kitchen bakes fresh, soft bread every day to complement the house pesto, both of which are thoughtfully delivered as soon as you sit down. Make sure you opt for patio seating, where twinkling lights and stunning trees hang over you while you eat, for a romantic dining experience. After dinner, you can move over to the patio’s fireside seating for desserts and post-dinner drinks. Postino is a social meeting place where food, wine and friends go hand in hand. The restaurant’s name means postman in Italian, and so it follows that it’s based in a 1940s former post office. Inside awaits a rustic, homey atmosphere and an extensive list of the best local and national wines. 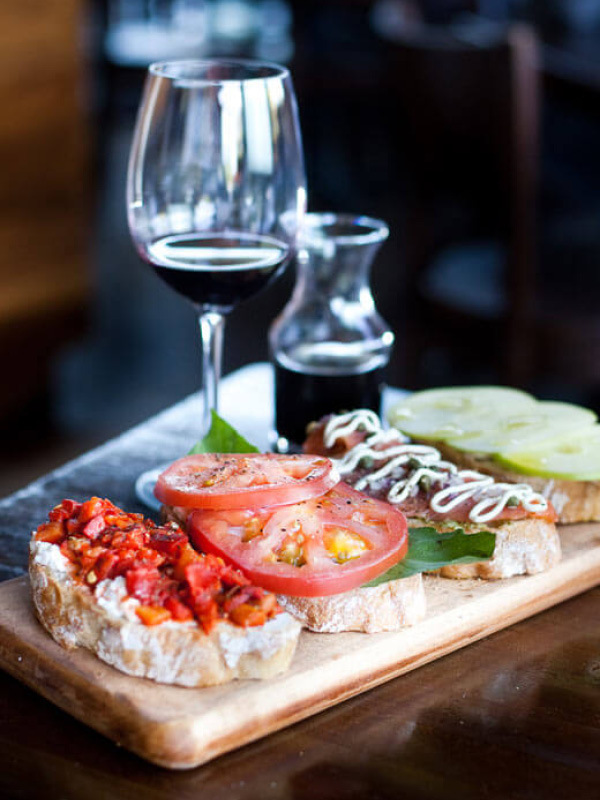 An outing here is the ultimate stop for wine lovers and can be timed perfectly with lunch or dinner, as the bruschetta is to die for. Housed in the former Hanny’s department store, this chic and stylish bar and restaurant goes by the same name and is now a staple cocktail bar in the heart of downtown Phoenix. The interior has transformed into a modern, sophisticated watering hole since its days in retail, and has a lavish drink menu to match. Indulge in expertly crafted cocktails from classic martinis, manhattans and the house champagne cocktail French 75 (gin, Cointreau, lemon juice and sparkling wine). Don’t mind the creepy doll-filled art displays in the basement; after a few drinks you’ll hardly notice they’re there. 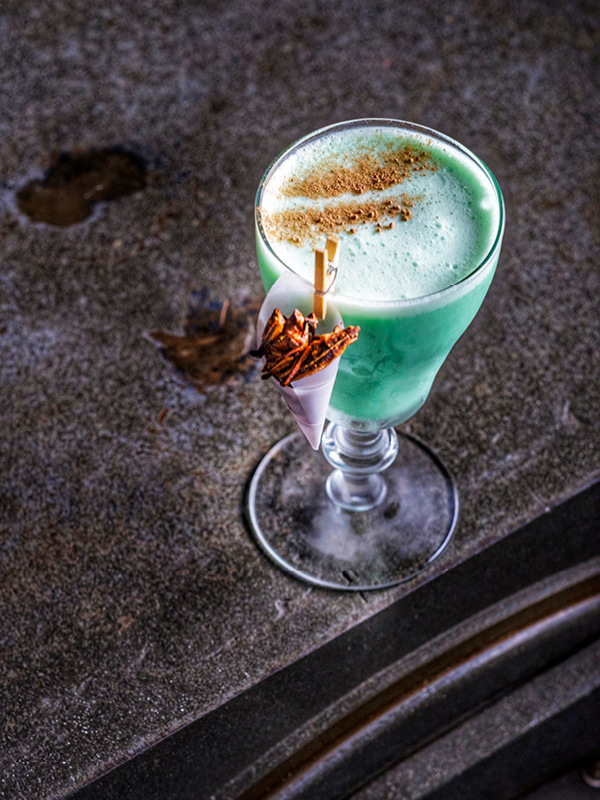 Located in the historic Luhrs Building in downtown Phoenix, Bitter & Twisted provides modern bar bites in a stylish setting – and brings the best of its award-winning and globally recognised cocktails. Ice balls are carved by hand and placed perfectly in creative cocktails. It’s first come first serve, so make sure to get there a bit early in the night to ensure a spot – which will ultimately give you more time to tackle the extensive drink menu. This cocktail lounge offers visitors a speakeasy style with the promise of delicious modern American comfort food. The intimate lounge is a relaxing atmosphere where you can go and indulge in some great American classics. 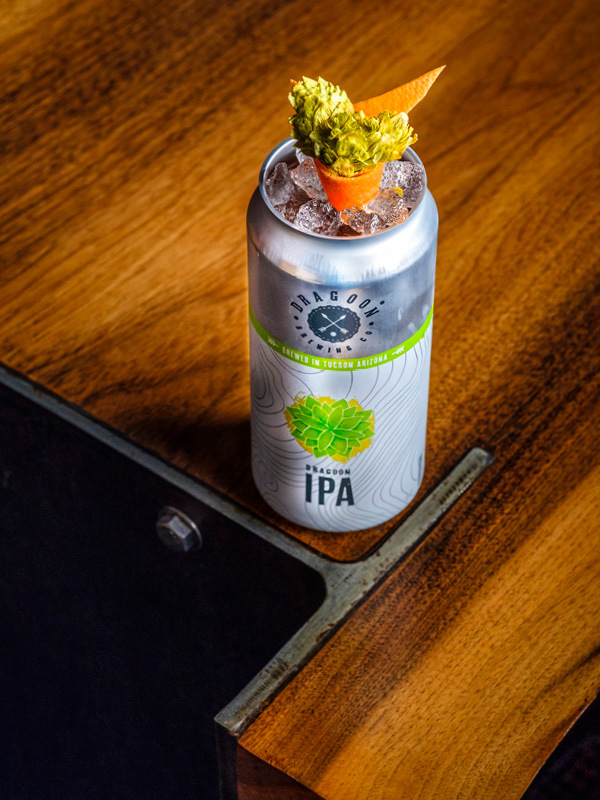 This joint puts a modern twist on mac and cheese and sliders, and even serves the world-renowned Impossible Burger, made famous in California as an entirely plant-based burger that bleeds and sizzles like the real thing. Make sure to check out the late-night schedule; DJs tend to make an appearance on the weekends. Hotel Palomar doesn’t only have prime city real estate, but has one of the most stunning rooftop pools in the city. Phoenix is known for its delightfully warm weather year-round, so a pool is a must for any place you stay. Enjoy incredible views of surrounding skyscrapers as well as the best of the rooftop food and drink menu. It’s the perfect city escape without escaping the city. Phoenix is known for its incredible resorts, in fact most Arizonans ‘staycation’ there themselves. Don’t stress over which one of these beautiful spots to stay in, the Royal Palms is an obvious choice. 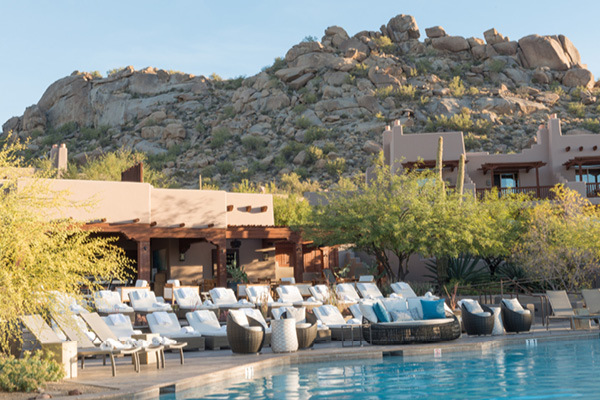 This resort and spa is nestled beautifully in the mountains where guests get an incredible view of the desert landscape while relaxing by the pool and spa. This place has all the five-star amenities while remaining quainter than surrounding resorts. The Four Seasons is an obvious choice for many when travelling, but it is Scottsdale where this resort really stands out. This adobe-style luxury resort truly encompasses traditional Arizona architecture that blends seamlessly into the Sonoran Desert. The Troon North Golf Club is just a shuttle away, and when you’re truly ready for some relaxation, locally inspired spa treatments, bi-level pool, and south-west cuisine await. Experience the heart of Arizona from this unique accommodation. If you’re looking for a place that’s close to it all, this is the one. You’ll be a short walk to all of the city’s amenities, from bars, shopping to midnight snacks. Straight across the street is the famous Hanny’s cocktail bar where you can easily enjoy afternoon drinks before heading to any of the many surrounding restaurants within walking distance. The hotel itself is comfortable and luxurious, but it’s the location that you’ll be swooning over.